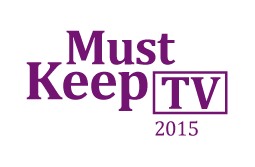 Now going into its 8th year, ‘Must Keep TV’ is based on a national survey of U.S. consumers annually. The respondents are shown a list of 74 selected network/cable brands and are asked to identify which ones would be on their ‘must keep TV’ list. In an increasingly fragmented environment of ever-increasing choice and platforms, the task of creating an small bundle forces the consumer to really focus on what’s important to them and others in the household and results in a powerful brand strength and engagement metric. Coming soon in July 2015!